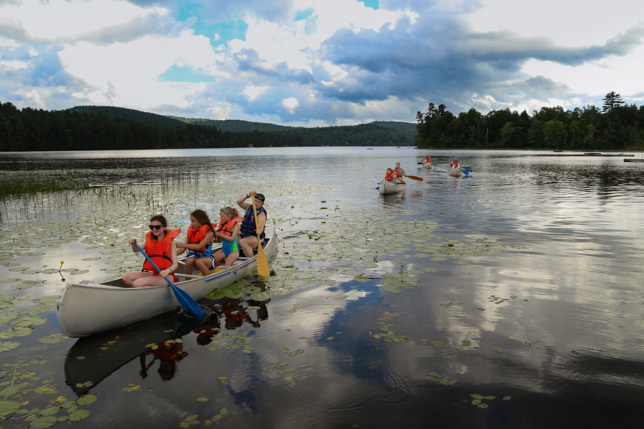 This week the Inter As were able to explore the length of Brant Lake in canoes. 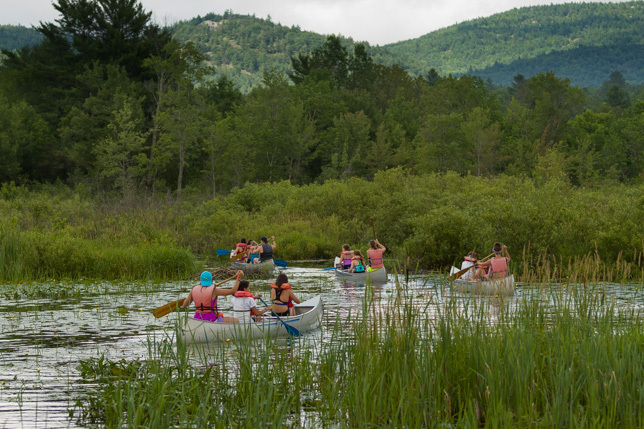 Along with the Wilderness staff, the girls were able to paddle four miles in the canoes starting off at camp and landing at the farm. In those two hours they paddled, sang and took in the beautiful views along the lake. 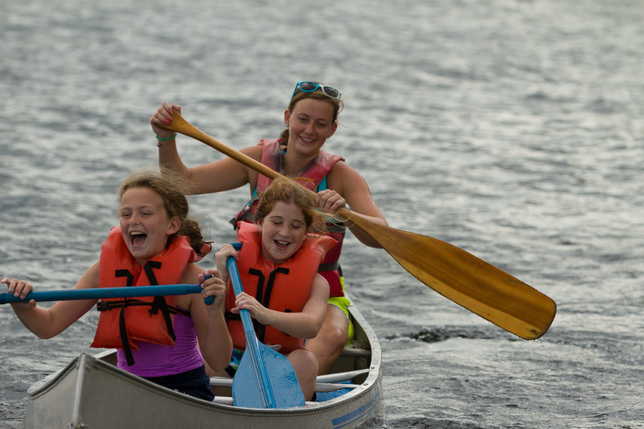 Once the girls landed at the farm, they hiked from the lake to their campsite, carrying the makings of a great campout at the farm. While there was a little hard work, the girls all agree that it was well worth the effort. As the first group to complete this trip, the Inter As wowed us with their flexibility and willingness to try something new. We are so proud of all that they accomplished this week and hope that more girls will be able to have this awesome experience in the future.